A companion for the Teacher Supervision and Evaluation That Works!! Our book Teacher Supervision and Evaluation That Works is used nationally and internationally by school districts to train their evaluators and develop effective district-wide systems. This guide is designed as a supplement to that book. 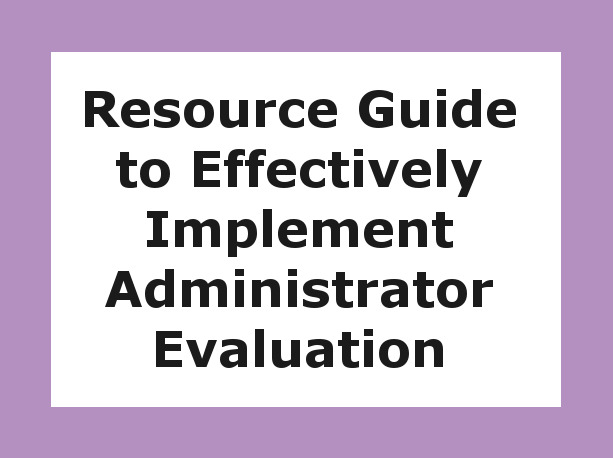 It takes all the areas taught about effective educator evaluation found in chapters 1-6 in the book and applies that learning to the evaluation of administrators.